Pumaspeed the Milltek Sport Development Partner bring you the New Focus ST 250 Cat Back. This Half Resonated Option adds a large front silencer to take out much of the high pitched noised developed by the high compression engine. There are 2 choices for exhaust tips .. The Pumaspeed Workshop team are ready to fit the Milltek Sport Focus ST 250 Cat Back Exhaust (Half Resonated) Quieter in our Head Office located here. Therefore making parts and labour a total cost £901.82 (inc. VAT). 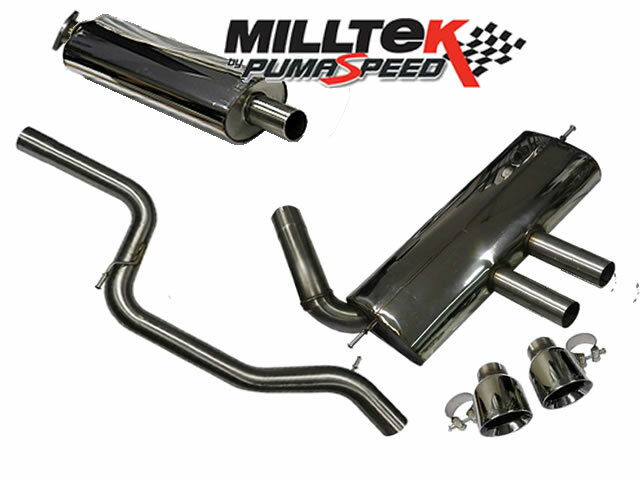 Pumaspeed have a specialist distribution team that can dispatch the Milltek Sport Focus ST 250 Cat Back Exhaust (Half Resonated) Quieter to any destination worldwide.